This tile backsplash design takes two beautiful tiles, and marries them together into a composition that is at once on-trend and timeless. 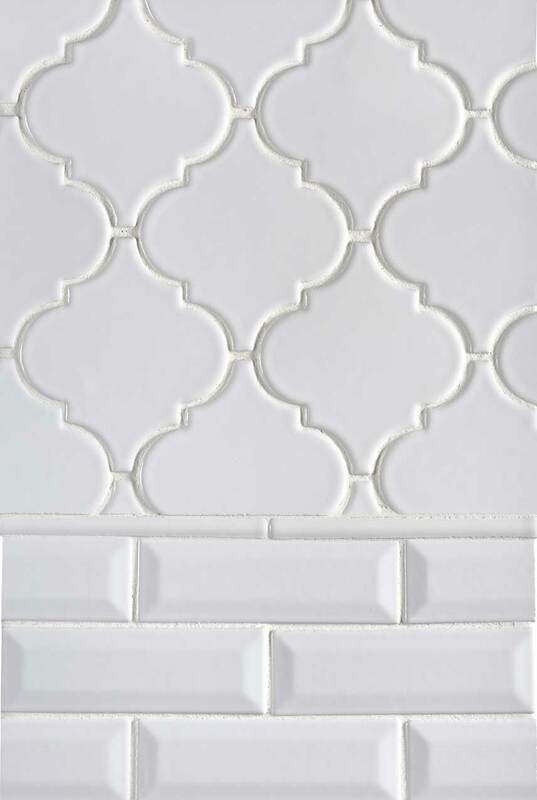 Whisper White Arabesque tiles and matching Subway tiles are perfect for creating a backsplash kitchen installation that complements design styles from traditional to contemporary. They work together beautifully and easily coordinate with other materials including countertops and floor tiles, in our inventory.